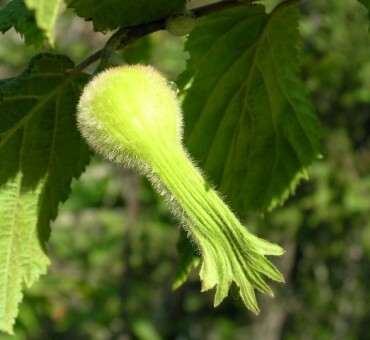 One of the northerly distributed nut species in the world, the beaked hazel is one tough hazel. 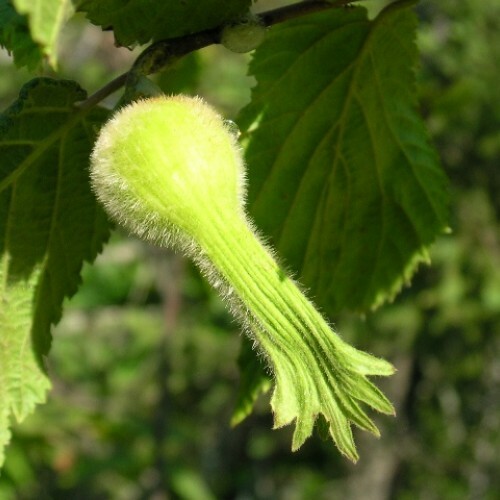 It’s ability to resprout after fire, grow in pancake thin top soils as well as tolerance to frost and drought make it an ideal nut shrub. 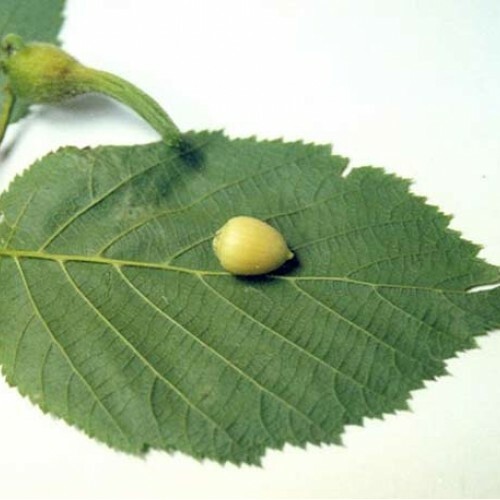 It generally has lower yields but the nuts that wedged with the long ‘beak’ are fairly easy to crack and given enough sunlight and room, the plant flourishes. We began planting beaked hazels on our farm from other nurseries and soon found they most were not beaked. We also found that planting them in a wide open field was not successful. They really grow best along established oak tree drip lines and pine trees. This year we were sure to check the source of the nuts to produce these trees. Two plants are necessary. Cross pollination within the species but not as much with others. Zone 2ish-3 to zone 7. A high and dry shrub with durability like few others. Do not plant in dense shade.